Rewa (red) and Nadi (green) in their 2017 Vodafone Fiji FACT final. Fiji’s top teams are preparing for tough opening matches in the Fiji INKK Mobile Battle of Giants after the two groups for the competition were confirmed at the official draw at Fiji FA Headquarters in Suva today. 2017 Vodafone Fiji FACT champions Rewa have been drawn in Group B with defending champions Lautoka, former champions Ba, and Dreketi. 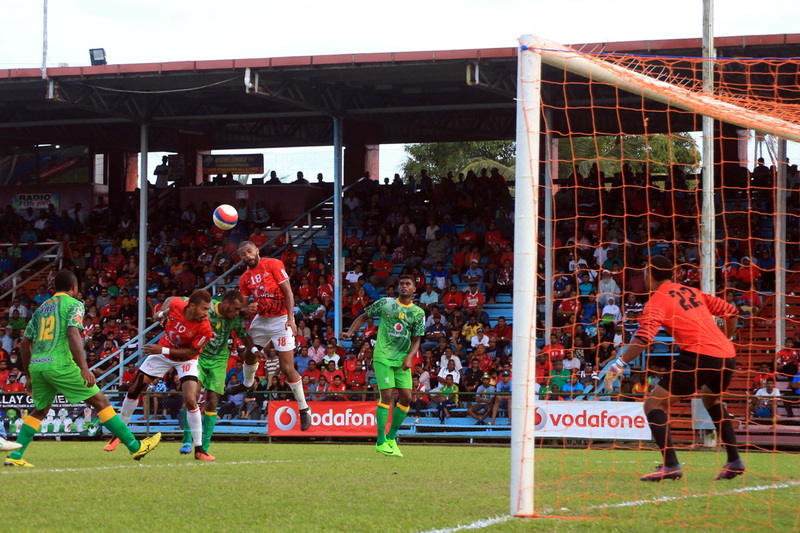 Group A will also hold a tough competition, with last year’s runners-up Labasa facing Rakiraki, Suva and Nadi. The group stage of the competition will be held at Subrail Park in Labasa from 14-16 July with the semi-finals and final held on the following weekend.